It may not feel it on drizzly days such as this, but summer is fast approaching and it’s almost time for us Brits to bare our pasty, goose pimpled flesh to the next door neighbours. Oh yes, the back garden beckons; promising at least a few decent days of BBQ weather. And as we all know, those fleeting moments of sunshine need to be embraced with every ounce of sweaty, ice cream smeared strength. And where better to sip down on a cold one than in your very own hot tub? All the luxury of a spa but with the option to eat burgers in it, should you so wish. 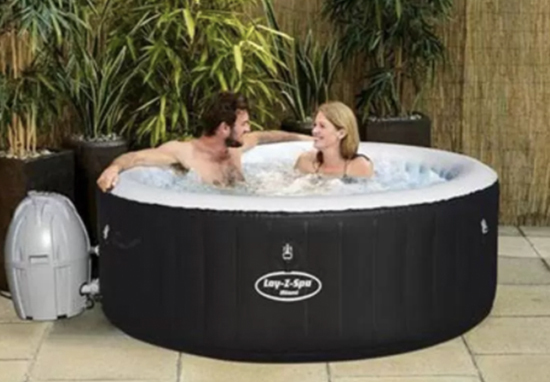 You don’t even have to pay celeb style prices for this splash of the high life; with good old B&M selling The Bestway Lay-Z-Spa Miami Tub for the teeny weeny yellow polka dot bikini price of £280. This is a better price than you find the Miami tub at any other retailer, including Tesco (£310) and B&Q (£347). 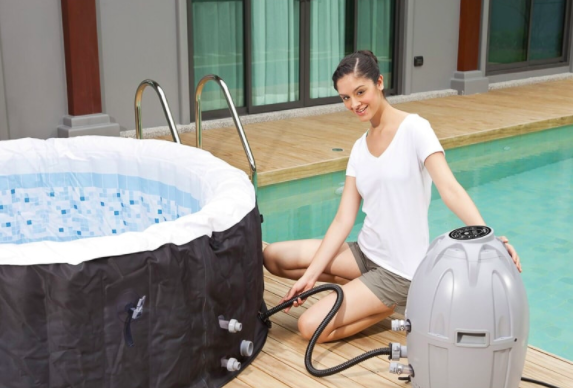 Online giant Amazon is selling this coveted bubble bonanza for £312, while Argos have completely sold out of tubs; which they were flogging for £399. Let’s all just ignore all those pesky snow warnings for a minute and marvel at what is an absolute gem of a deal. You are bound to get a sun burn, jet lag and hay fever during the summer months, but this tub won’t let you down or get grumpy with you if it gets too hot. Described as being ‘super comfortable,’ it can accommodate up to four relaxees; ideal for chilled summer afternoon with mates. Complete with 81 jets, the Miami tub offers ‘soothing massage action,’ perfect for stroking those sunbathing strained muscles. Imagine coming home at the end of a long day and easing into your very own hot tub. Trust us, when we say that nothing compares to that feeling. Awesome, brilliant, great quality purchase, would recommend to everybody in whole wide world if I could, it’s that good. We’ve had months of fun in this. I’m really pleased we bought it. No matter what the weather, it’s lovely and warm to get in to. Hate to think what our electricity bill will be like but worth every penny. My four-year-old daughter has been practising her swimming in it too. Completing the summer long party vibe, B&M is also selling a number of sunshine friendly products for those who wish to entertain without the wallet pain. 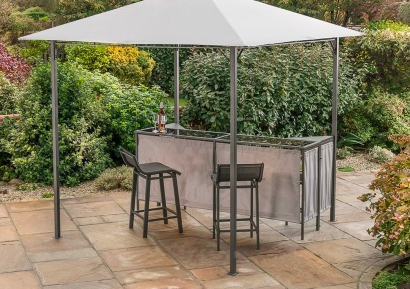 A nifty gazebo bar and stool set can be purchased for just £250. Other items include a drinks bucket for £7.99 as well as a drinks dispenser and tumblers for just £3.99. For a fair price, you can turn your hum-drum patio into a glorious island paradise. All you need to add is a chilled round of mojitos. This is an extremely popular tub and, with limited stock available, it is expected to sell out quickly. 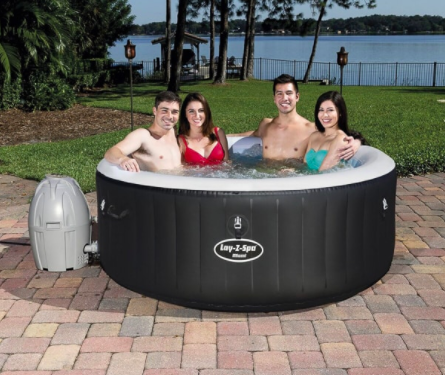 The Bestway Lay-Z-Spa Miami Tub is available in-store only so hot foot it down to B&M quick sharp.